Product prices and availability are accurate as of 2019-04-18 07:57:54 EDT and are subject to change. Any price and availability information displayed on http://www.amazon.com/ at the time of purchase will apply to the purchase of this product. The M18 FUEL 7-1/4 in. 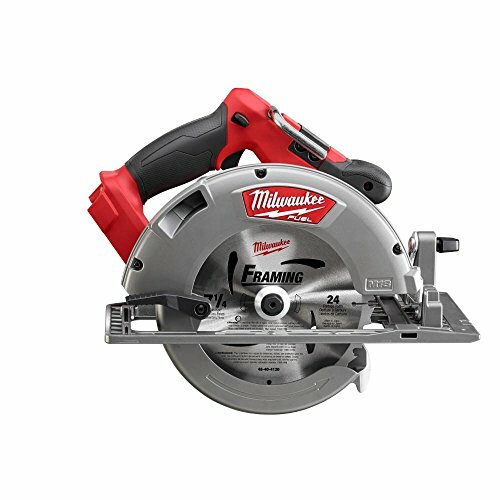 Circular Saw (model 2371) cuts faster and weighs up to 40% less than corded saws without sacrificing cut depth or performance, while delivering twice the run time of other 18-Volt cordless circular saws. Utilizing a POWERSTATE Brushless Motor, it also cuts faster than corded counterparts. Weighing in at only 9 lbs. 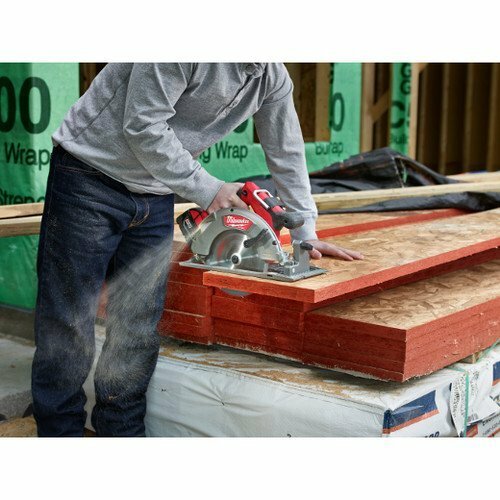 with the battery pack (sold separately), it features REDLINK PLUS Intelligence, an advanced system of cordless power tool electronics that provides optimized performance and overload protection by using total system communication between tool, battery and charger. 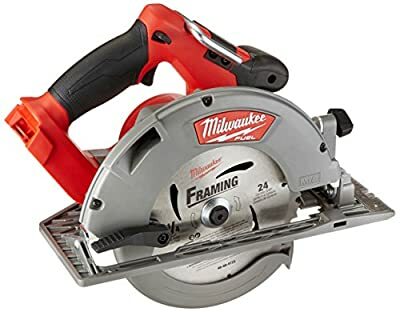 This circular saw is designed with an LED light to increase accuracy in low-light situations and a rafter hook for easy storage in between cuts. 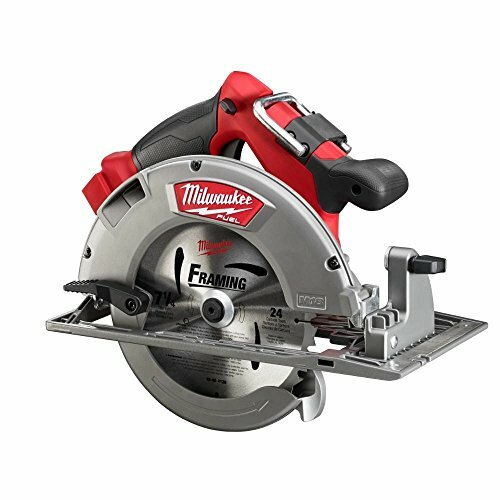 It also includes a magnesium shoe as well as upper and lower guards to reduce tool weight without sacrificing durability.